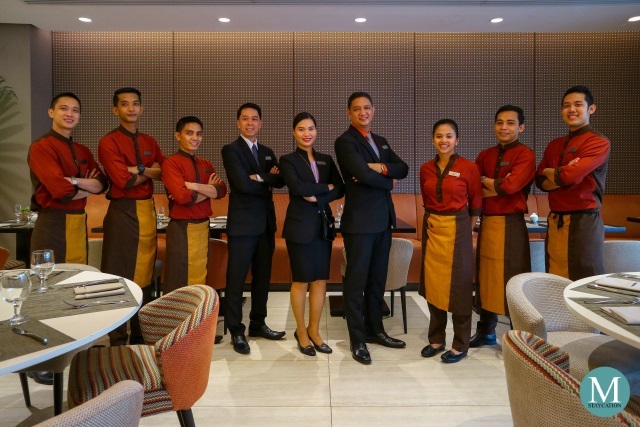 Kalesa Restaurant is the all-day dining restaurant of the newly-opened Mercure Manila Ortigas (Philippines). 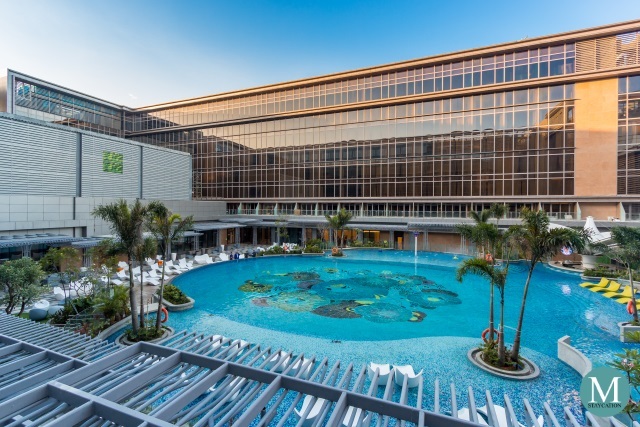 The restaurant features a fusion of local and international cuisines, taking inspiration from Malay, Chinese, Spanish, Japanese and American cuisines which influenced Filipino cooking through history. It is named after kalesa, a two-wheeled horse-drawn calash used in the Philippines. Last month, we were invited by Mercure Manila Ortigas to try out the newly rolled-out dishes from their Chef's Specials menu. Welcoming us at the restaurant was their very refreshing Kalesa Iced Tea. 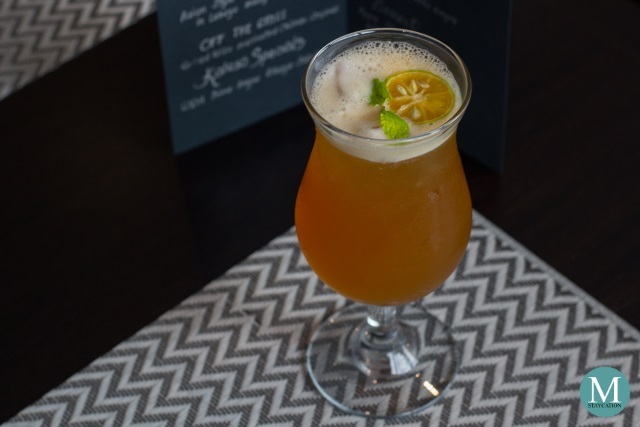 It's their house-blend iced tea infused with calamansi juice with the right balance of sweetness and sourness. Two appetizers were served to us. 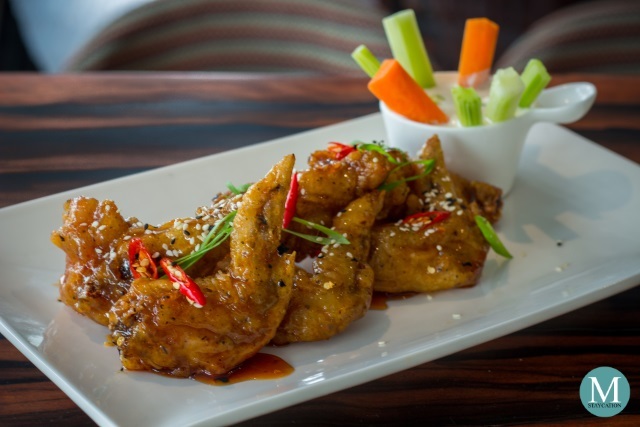 The first one was the Asian Style Buffalo Wings with Labuyo-Honey Calamansi Glaze. The batter was crunchy while the glaze had a good balance of sweet and spicy tastes. 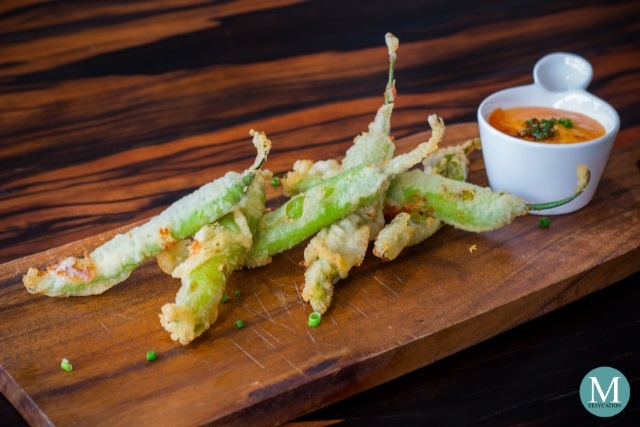 The next appetizer was the Green Chili & Cheese Tempura with Sriracha Aioli. Seeds were removed from the green chilis which were then stuffed with cheese, coated with a light teriyaki batter, and finally fried until crispy. The tempura itself wasn't spicy, but if you want a fiery challenge, you can try the spicy Sriracha aioli dip. After the appetizers, the restaurant had us taste two of their best-selling paella risottos, which by their names are a combination of a paella (in taste) and a risotto (in consistency). 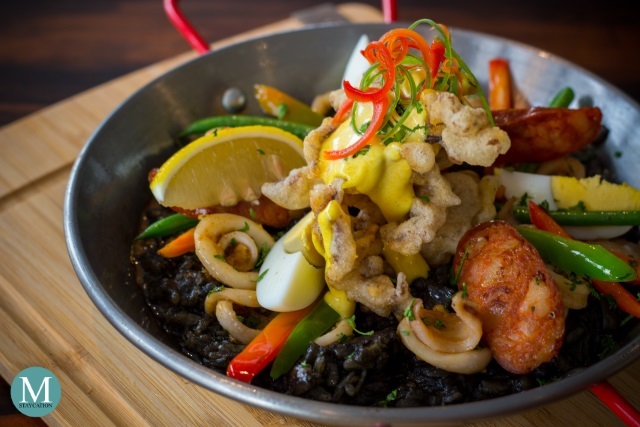 The first one we tried was the Squid Adobo Paella Negra. 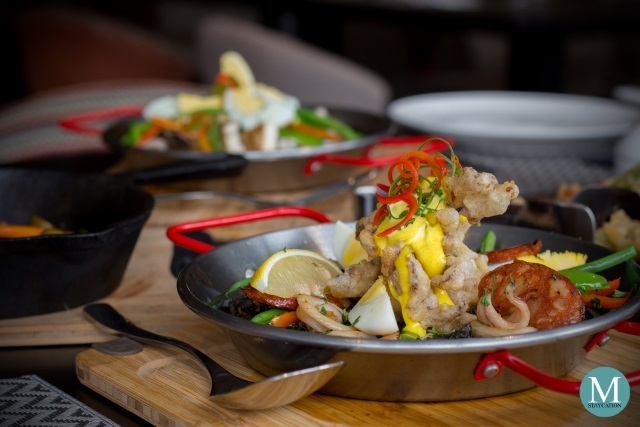 This is a fusion of the Filipino dish adobong pusit used as the base for the paella, and given a Spanish touch by adding chorizo and calamares fritos as toppings. 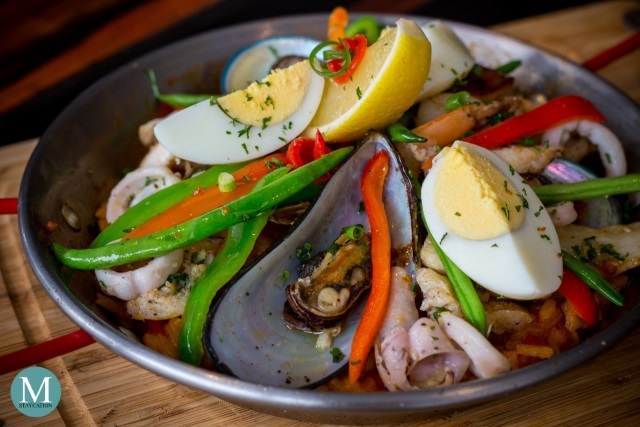 The Seafood & Chicken Pella Risotto on the other hand is their version of the classing Spanish paella mixta which combines seafood and meat in the same dish. This one had mussels, squid, shrimps, filleted chicken breast, hard boiled egg wedges, as well as French string beans and bell peppers. 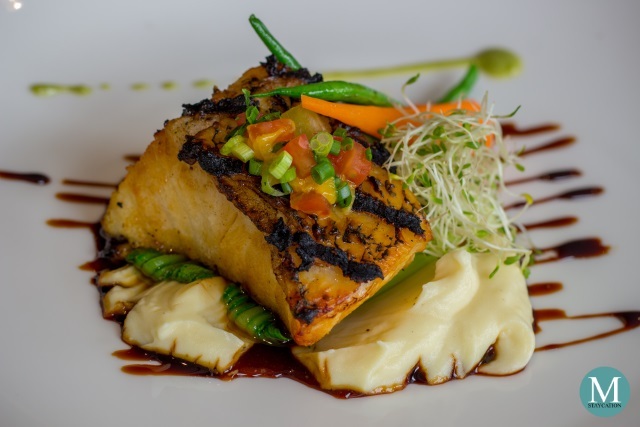 For the main course, Kalesa served us one of their best-selling grilled items, the Grilled Miso-Marinated Chilean Seabass. It was a generous portion of seabass which was tender, moist, delicately flavored, and encased in a crunchy crust. It was served on a bed of mashed potato and finally drizzled with vinaigrette. Our favorite has got to be the USDA Prime Angus Ribeye Salpicao. Using a premium quality beef for this dish ensured the dish to be very tender to the bite. Its gravy was rich in garlicky goodness. Buttered baby potatoes, French string beans and baby carrots were also served with the dish. You must order steamed rice for this dish! Finally for dessert, we had the Tablea Chocolate Cake. 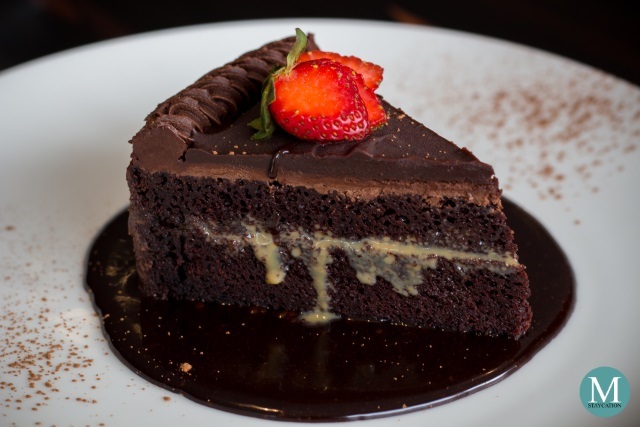 It is classic chocolate cake made with chocolate tablea from the Philippines. The cake was moist and heavy on chocolate flavor. We enjoyed this cake because it wasn't too sweet. Even the syrup at the bottom of the dish as very addicting. 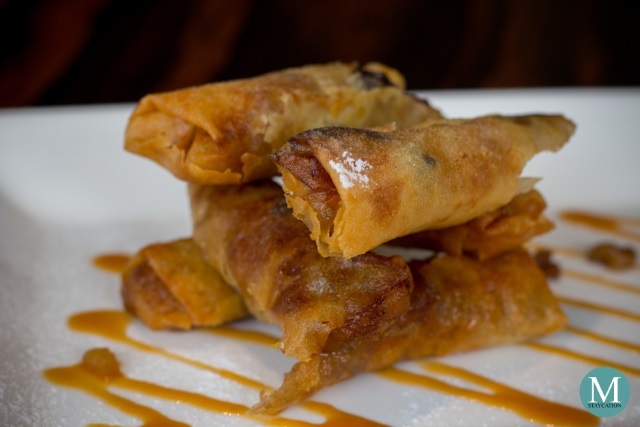 Another dessert served to us was the Apple Strudel Turon, a fusion between the classic apple strudel from Europe which was used as filling to turon, a favorite snack in the Philippines. 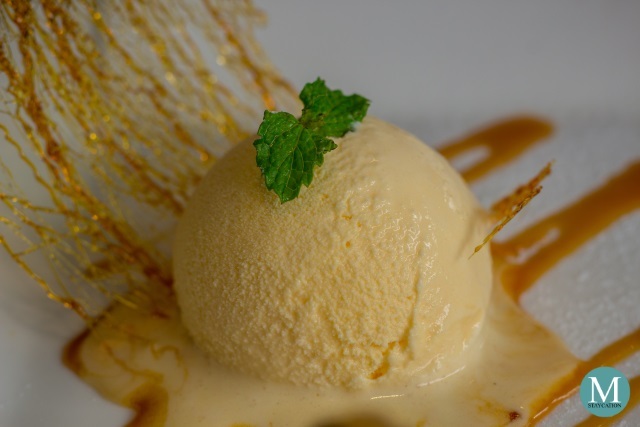 The cinnamon flavor of the Apple Strudel Turon went perfectly well with the scoop of Queso Ice Cream served with it. Both were drizzled with caramel sauce for an extra kick of flavor. Kalesa Restaurant is indeed a welcome addition to this side of Ortigas Center. With the generous serving size at a competitive price point, combined with the AccorHotels international standard of service, Kalesa Restaurant instantly gained our approval. 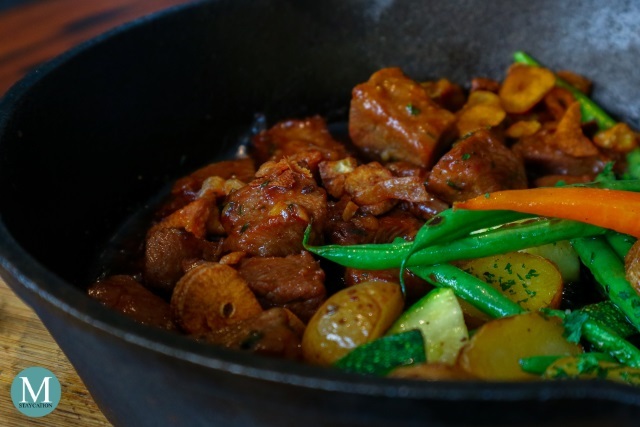 Whether you are a business or leisure traveler who wish to experience the local cuisine, or a staycationer who wish to have a memorable dining experience with family or friends, you must definitely try Kalesa Restaurant. 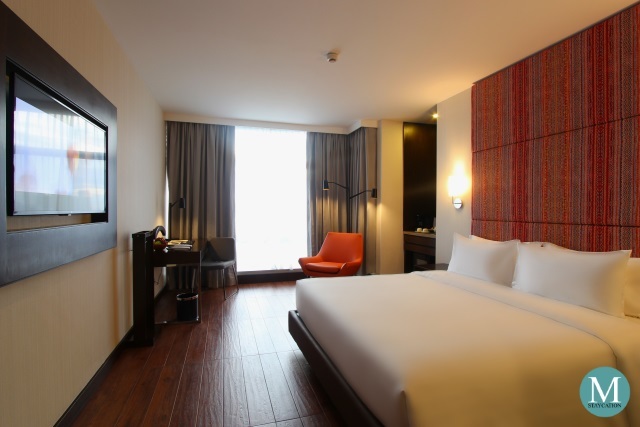 Be among the first ones to experience the newly opened Mercure Manila Ortigas by booking a weekend staycation (Check Room Rates). 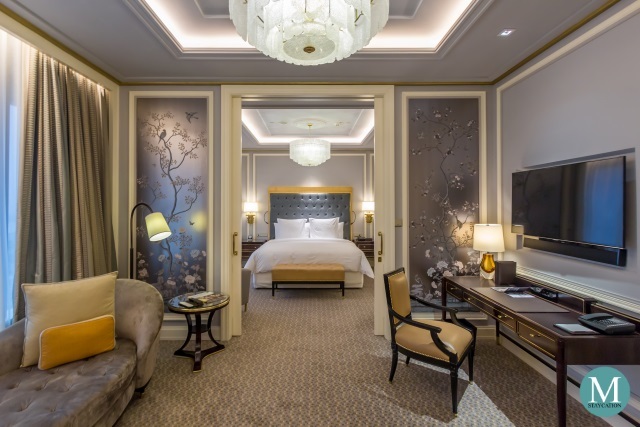 It has a total of 150 guestrooms with room sizes and room rates that fit any requirements or budgets. 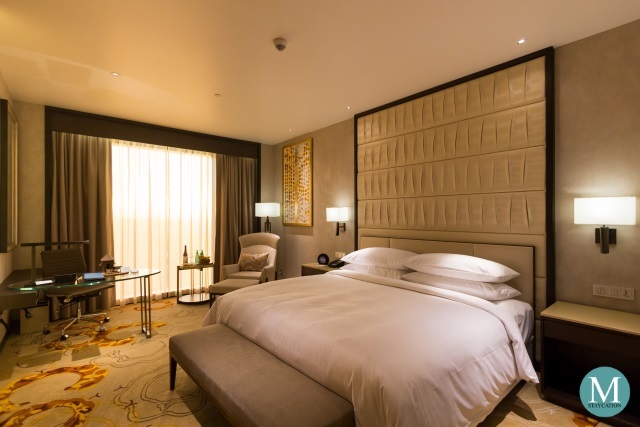 We highly recommend the 38sqm Deluxe Room (Check Availability).